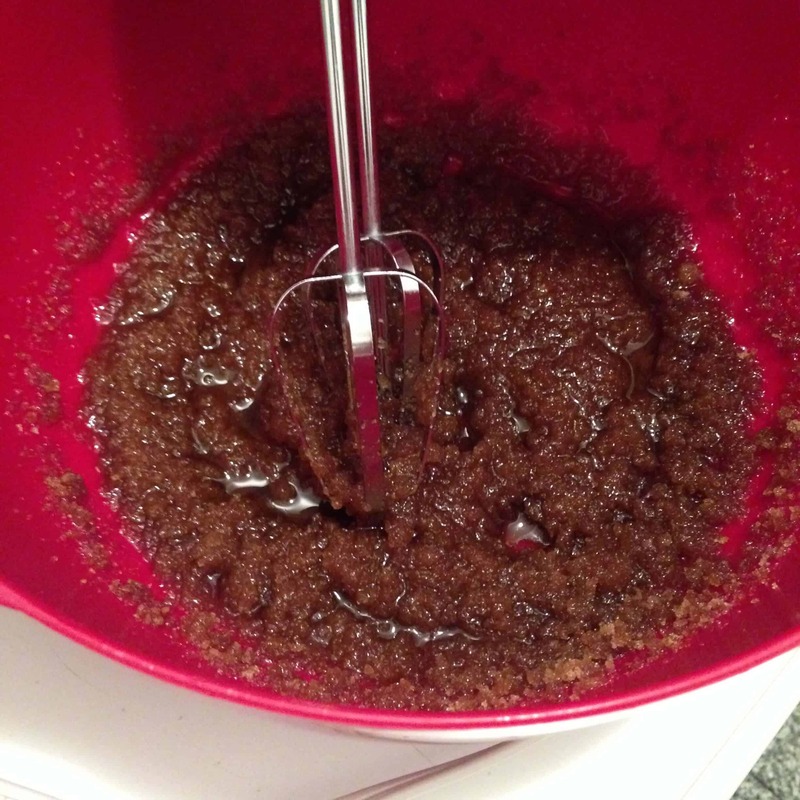 With an electric mixer, mix the butter and sugars. Beat in the egg, yolk, vanilla, and yogurt until combined. Add the flour, baking soda, and salt, and beat on low-speed just until combined. Gently fold in all holiday mix-ins using a spatula. 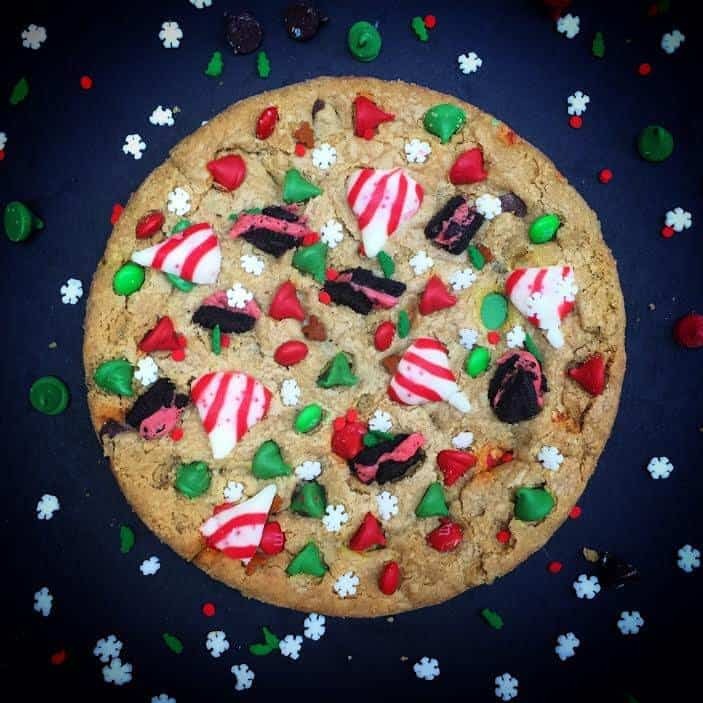 I used some Christmas colored chocolate chips, Christmas M&Ms, holiday sprinkles, chopped peppermint Oreos, and peppermint kisses 🙂 Make sure you don’t add in more than two cups of mix-ins, or else the dough will be overloaded! The following morning, preheat the oven to 350 degrees. For giant cookies, form cookie dough balls with about 3 tablespoons of cookie dough. Place the cookie dough balls onto a greased cookie sheet about 4 inches apart, and gently flatten the dough with your hand. 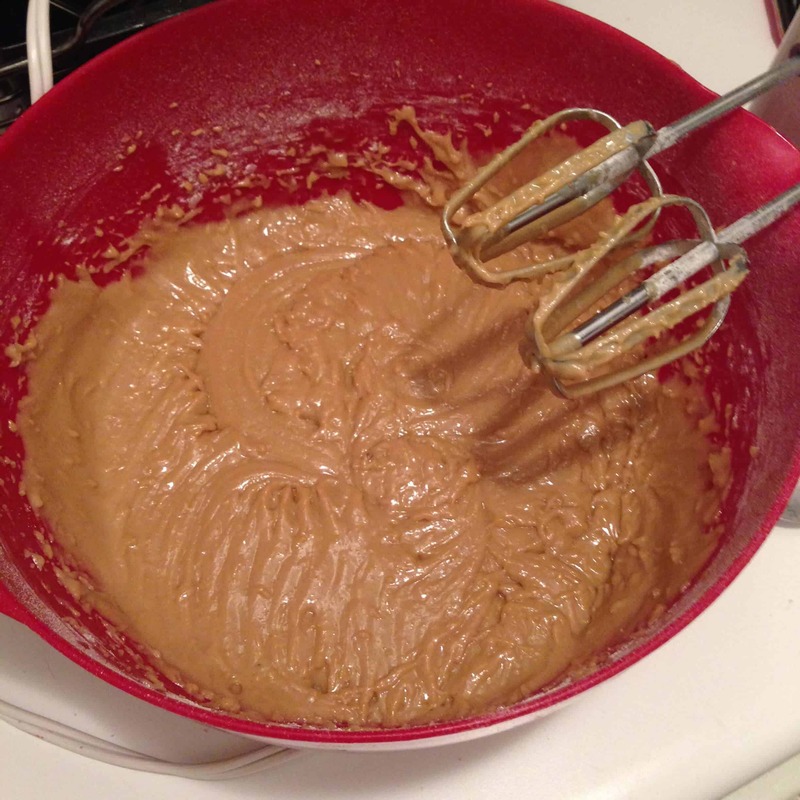 Bake the cookies for 15-18 minutes, until the edges just begin to brown. 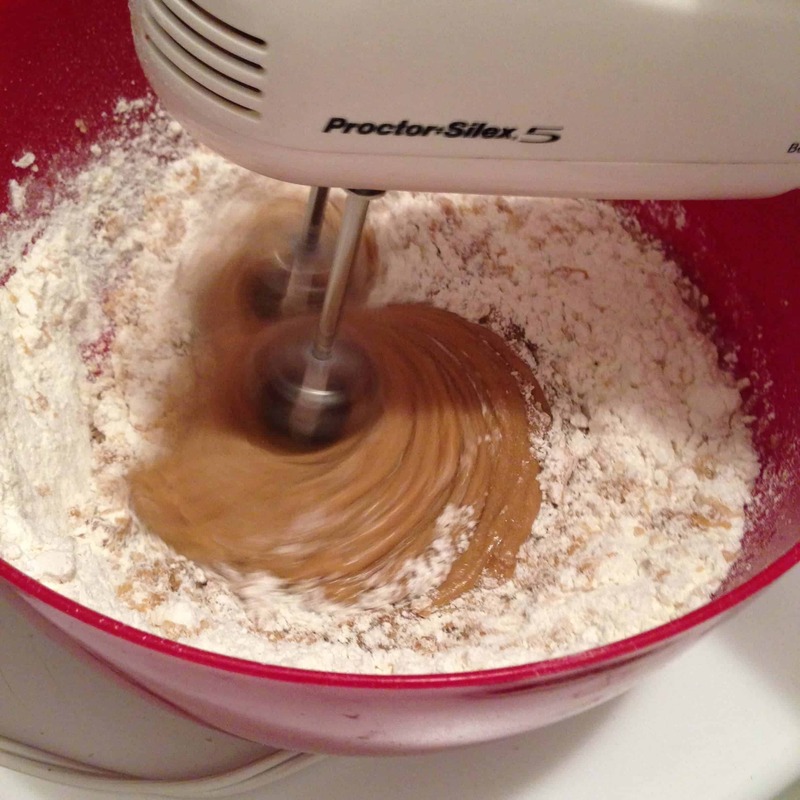 If you want to make regular sized cookies, use 1 1/2 tablespoons of dough, and place cookie dough balls 2 inches apart. Bake for 9-10 minutes. I made a few giant cookies, and a dozen normal sized cookies. Let the cookies cool on a wire wrack. After they’ve been out of the oven for about 10 minutes, press a few additional chocolate chips and peppermint kisses onto the tops of the cookies. Once the cookies are fully cooled, they can be stored in an airtight container for up to a week.